Knoch High School students participated again this year in the KDKA Hometown HighQ competition. The show will air this Saturday, February 16 at 11:00 a.m. This year's Knoch contestants are Autumn Trempus, Nix Pawlowski, and Josh Rohland. (Credit to Jacob Mock for making the team, although he wasn't able to compete.) 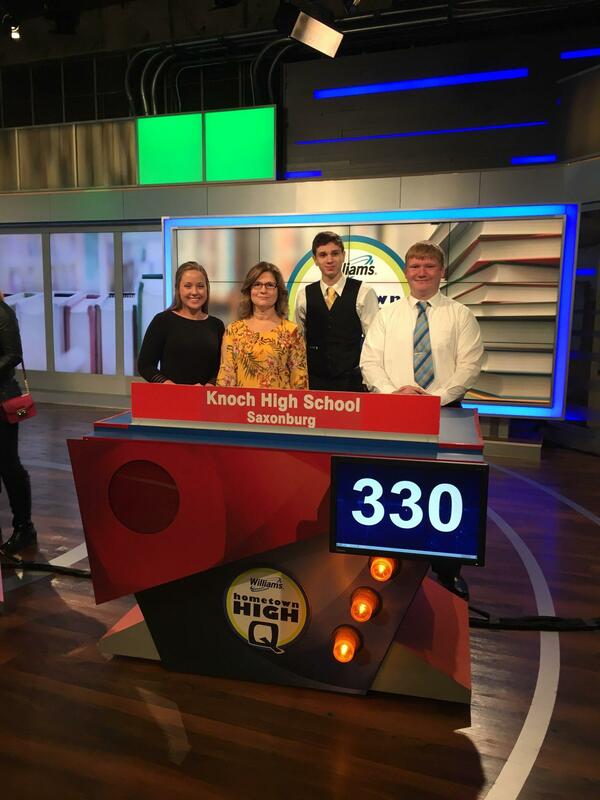 Pictured is the team on the KDKA set, along with their advisor Mrs. Dills.